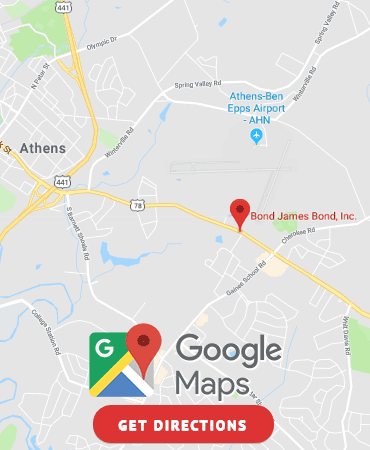 Clarke County & Athens, GA Bail Bonds | Bond James Bond Inc.
Stop in 24/7 for free advice and free coffee. Our office is right down the street from the Clarke County jail. Bond James Bond Inc. is a locally owned and operated bail bonding company. We understand the frustration behind the situation and will do everything possible to expedite the release process. Our offices have been in operation for over 22 years in Athens, GA located in Clarke County. It’s common not to know every detail of the arrest process, that’s why we are here for you. After an arrest, contact us so we can immediately get to work for you. We provide a fast and effective process. 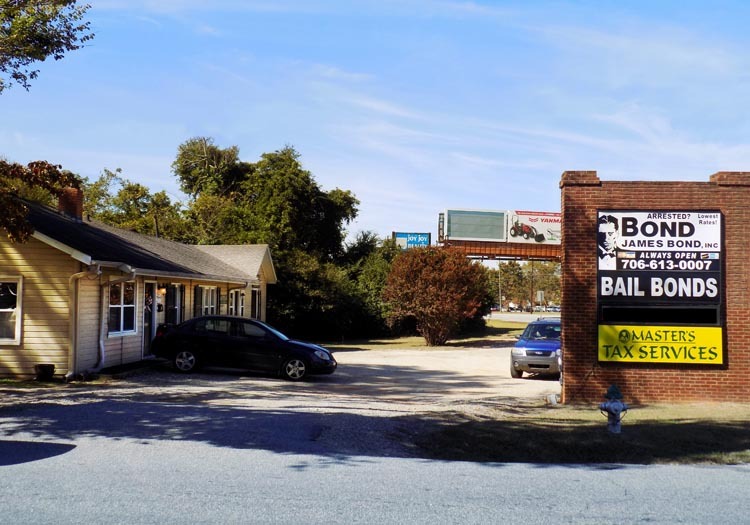 What is a bail bond? A Bond is a financial guarantee made between the courts, the defendant, the bond company and the cosigner. Whether it’s a misdemeanor or a large felony, we are there for you 7 days a week 24 hours a day. Our offices provide free and confidential bail information. We treat every customer with understanding and respect.